Brimstone has delivered a set of strong results and is well positioned to unlock further value for its investors. "The cash raised by the listing of Sea Harvest will allow it to fund its own growth path, while Brimstone also benefits by some R600-million through the repayment of loans," said Fred Robertson, the Brimstone director responsible for Brimstone�s stake in Sea Harvest. 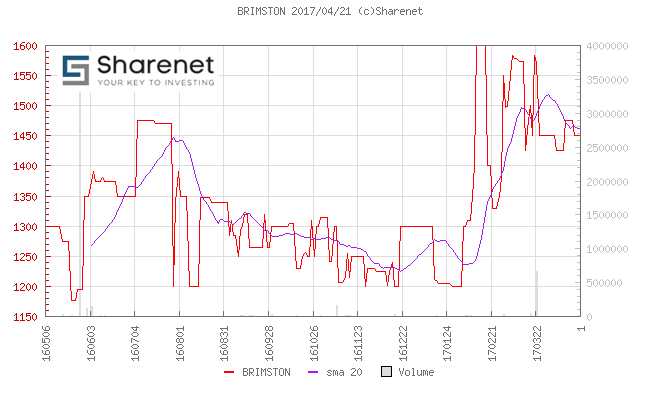 In the last year, Brimstone’s share price has produced a capital appreciation of 34%. Brimstone�s board has declared a final dividend of 42 cents per share for the year ended 31 December 2016, says Brimstone�s financial report. The company has delivered steady growth and managed to pay continuous dividends to its shareholders for the last fifteen years. 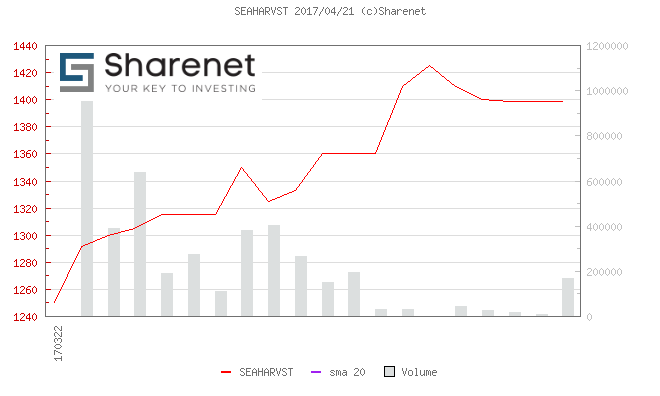 One of Brimstone�s subsidiaries that performed exceptionally well was Sea Harvest, 85% owned by Brimstone before the listing. Brimstone intends to continue to control Sea Harvest and, at a minimum, retain a 54.9% shareholding in Sea Harvest post the proposed listing, Brimstone says in its SENS announcement. "We are confident that the listing will add further value to all shareholders. The Group has a long- term record of enhancing NAV and paying dividends." "Brimstone will continue to maintain its positive long-term view on its investments and pursue value accreting opportunities," says Mustaq Brey, chief executive of Brimstone.